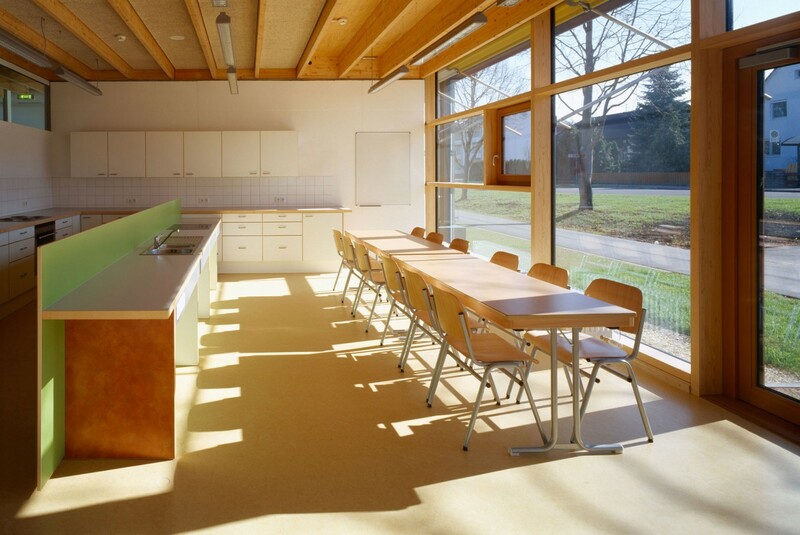 The new school in Herbrechtingen on the “Schwäbische Alb” is located in a natural parkland. The single storey school provides educational facilities for a good 100 children with mental or physical handicaps. 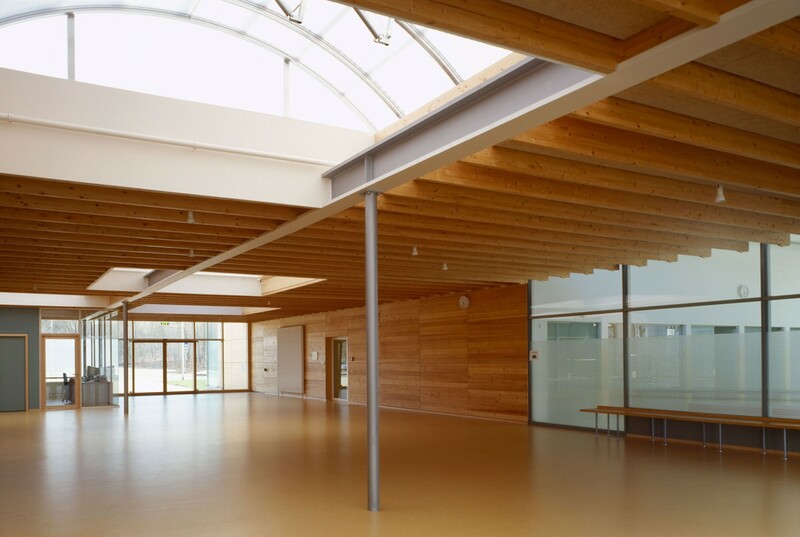 Groups of classrooms are clustered in pavilion – like buildings around a central courtyard which offers a sheltered outdoor environment for “open-air” lessons. 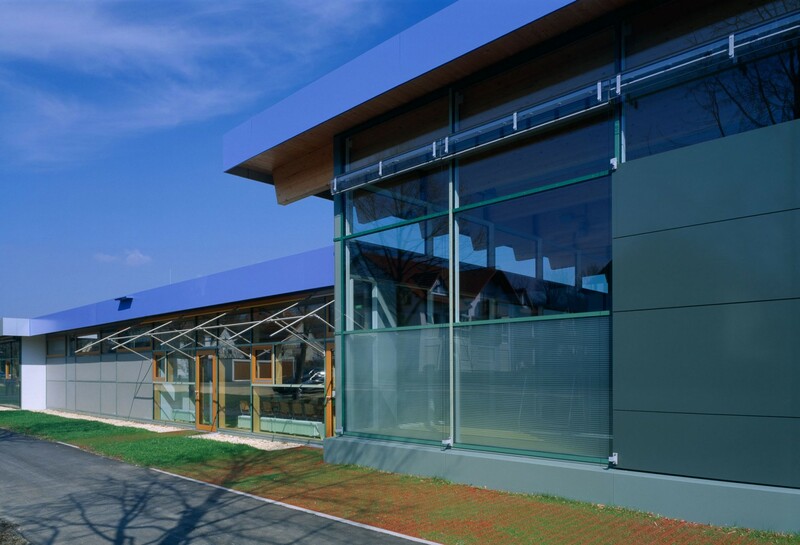 Both the buildings and the stimulating natural environment offer numerous opportunities for communication, play and learning, where the children can develop their imagination, social awareness and social skills. 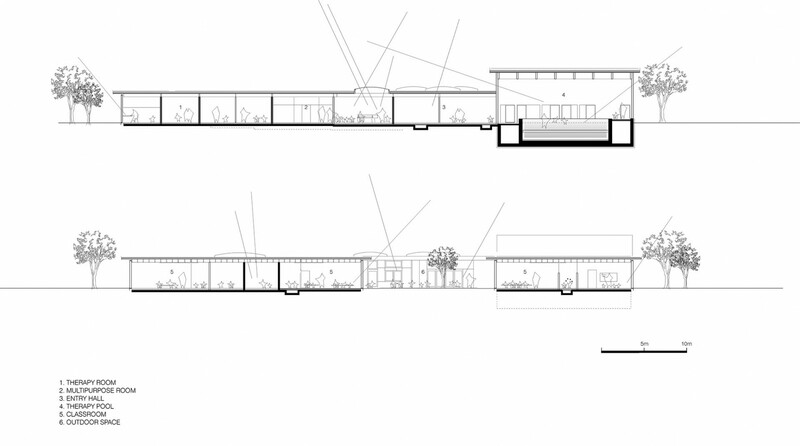 Protected areas, that invoke feelings of security, alternate with areas that are more open towards the garden and park. The room programme also includes spaces for medical treatment and therapies. 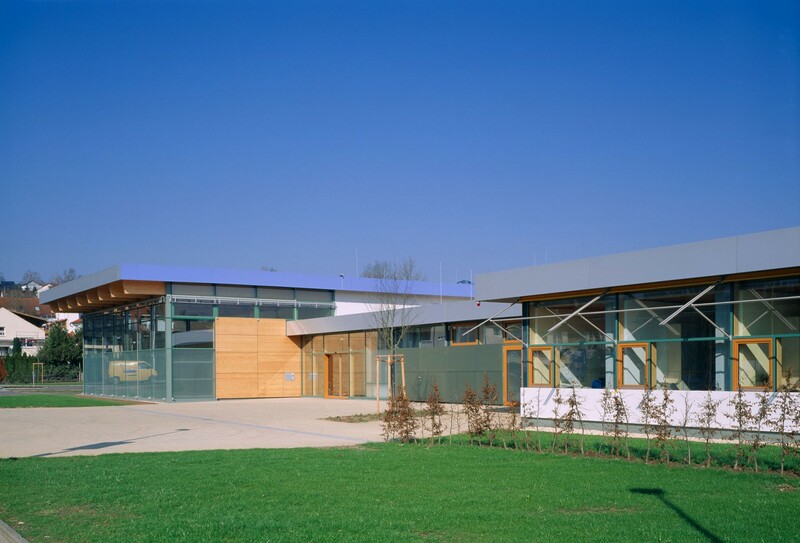 The sports building, can be used by external people outside school hours without having to enter the school itself. The roofs are covered with pebbles and planted around the skylights in order to keep off excess heat. 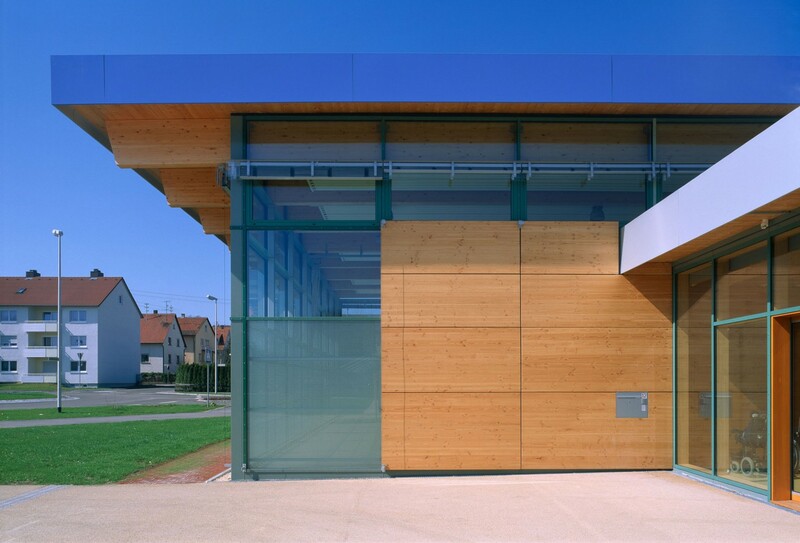 The flat buildings are constructed in a simple manner using regenerative materials such as wood, together with reinforced concrete. 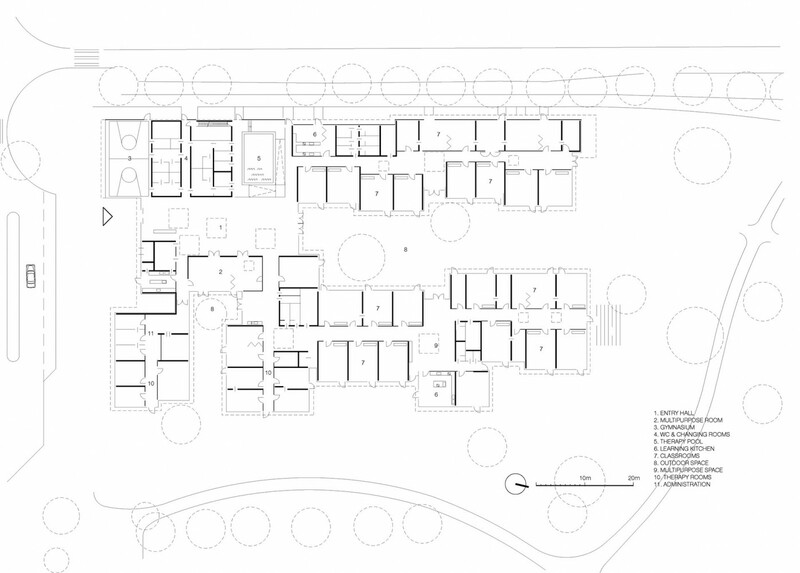 Free floor plans with non-load-bearing walls ensure good adaptability to changing functions. 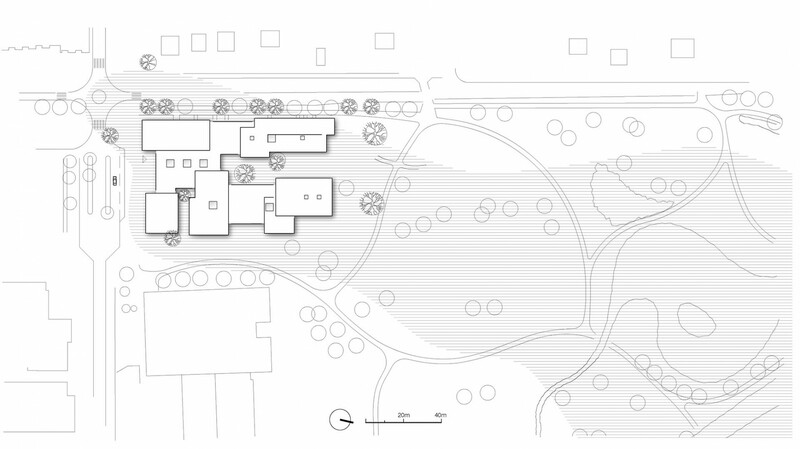 The complex can be extended towards the north at a later date. 4.450 qm / 48,000 sq.ft. 19.000 cbm / 671,000 cu.ft.